Builders & Partners is a consulting firm in engineering and project management in the construction sector. The firm intervenes as a facilitator and orchestrator in construction projects by improving the relationship between the trades. Among the leaders in its market, B & P is involved in feasibility studies, BIM programming, project management, project management and assistance throughout the construction project. Builders & Partners enjoys a young and innovative brand image in a sector that is struggling to find its brands on digital. The firm wanted to match this brand image with its digital presence by developing a responsive website as well as mobile sales support tools. The Smart Interactive team supported B & P’s communication agency (IZALCO) on the implementation of the responsive website. In addition, Smart Interactive has developed a tailored back-office to manage references and feed both the website and the sales tablet application. Smart Interactive continues to support Builders & Partners in maintaining and evolving the platform. 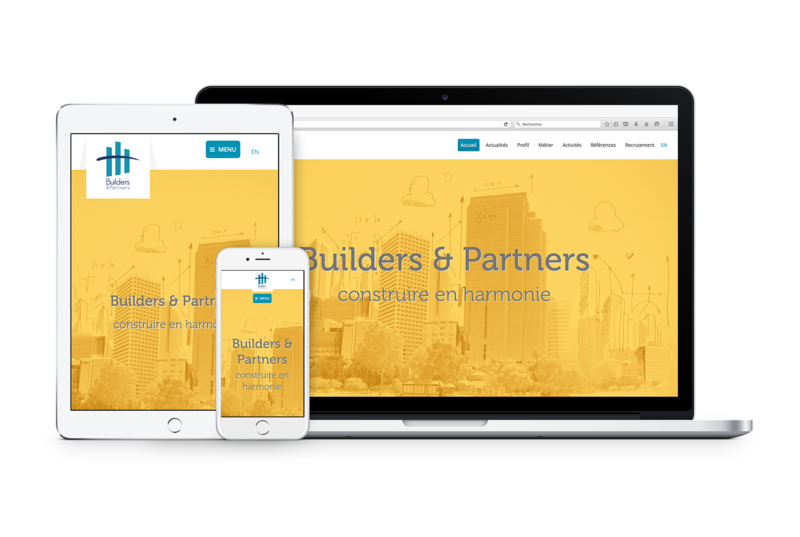 Finally, the firm commissioned a new Site + Backoffice environment for one of its subsidiaries: Syntesia. This environment realized by Smart Interactive will be delivered in the first quarter of 2017. Project Management, Graphic Design, Video Animation, HTML5, PHP, Java, Google App Engine (Google Cloud) Development, WordPress Responsive.